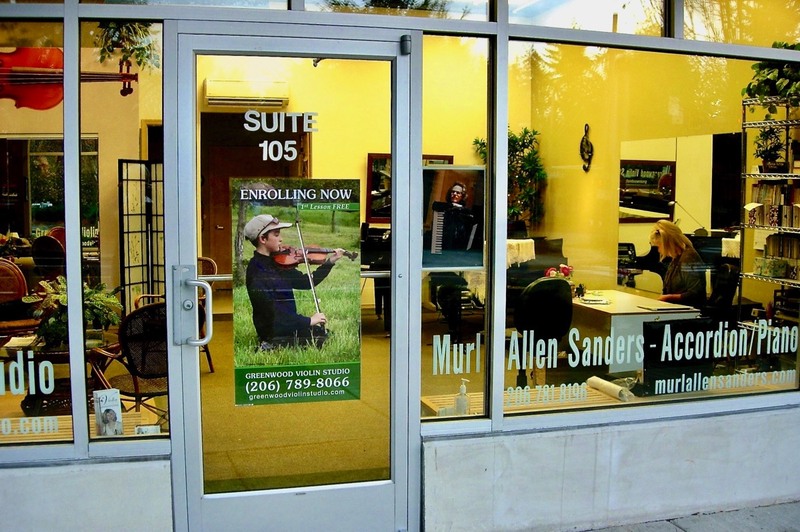 Our new Seattle studio is located at Bitter Lake, one block West of Aurora, across from the Park. 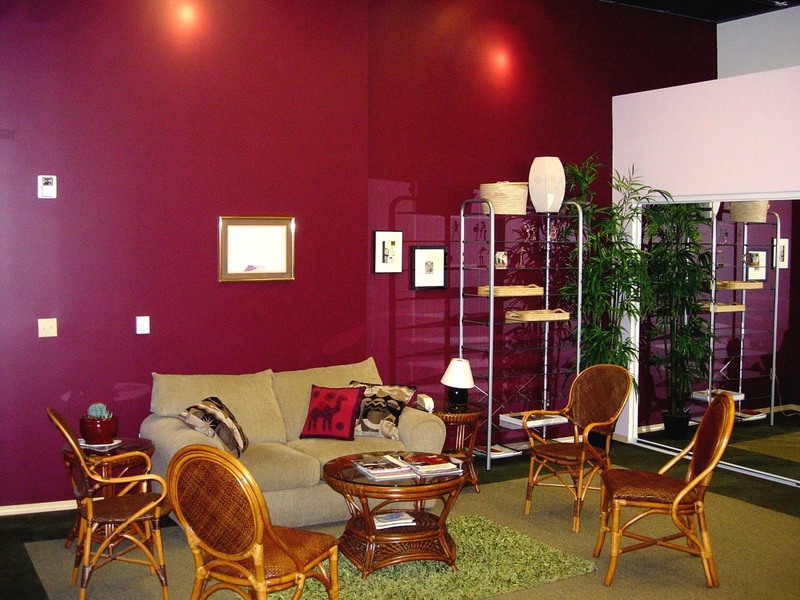 The studio is adjacent to L' Forno Pizza, a hair salon, and a nail salon. This beautiful new facility offers large instruction and waiting areas, high ceilings, excellent acoustics, air conditioning, high tech lighting, and many other amenities to enhance your learning experience. In addition to providing comfort and convenience for students and guests attending private lessons, the new studio is large enough for mini-recitals and group sessions. We have added a kitchenette to support these gatherings as well as an ADA compliant restroom for our disabled guests. Parking is available in front of the building and across the street. A Metro bus stop is on the same corner as the studio. 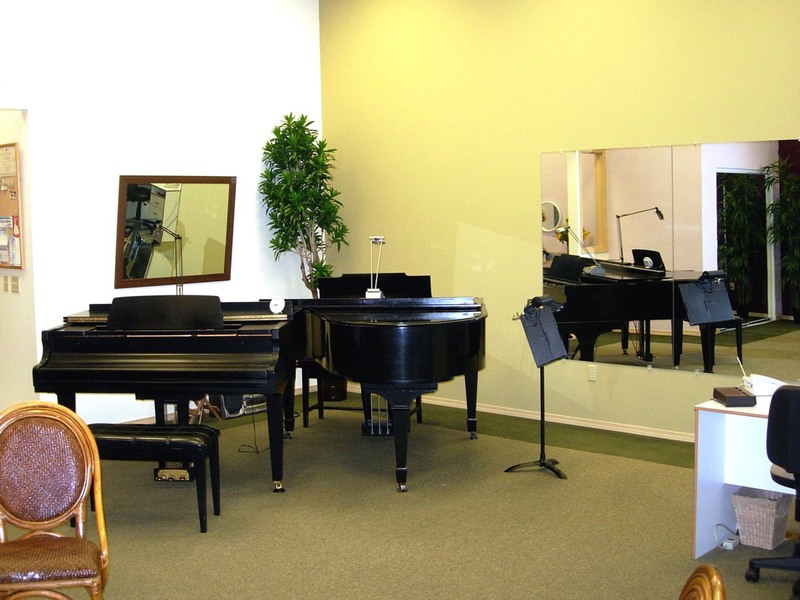 Dual grand pianos, large mirrors, special lighting, and excellent acoustics facilitate learning effectiveness. Spacious and comfortable waiting area including violin storage, kitchenette, ADA bathroom, high tech lighting, and excellent view of student instruction area. 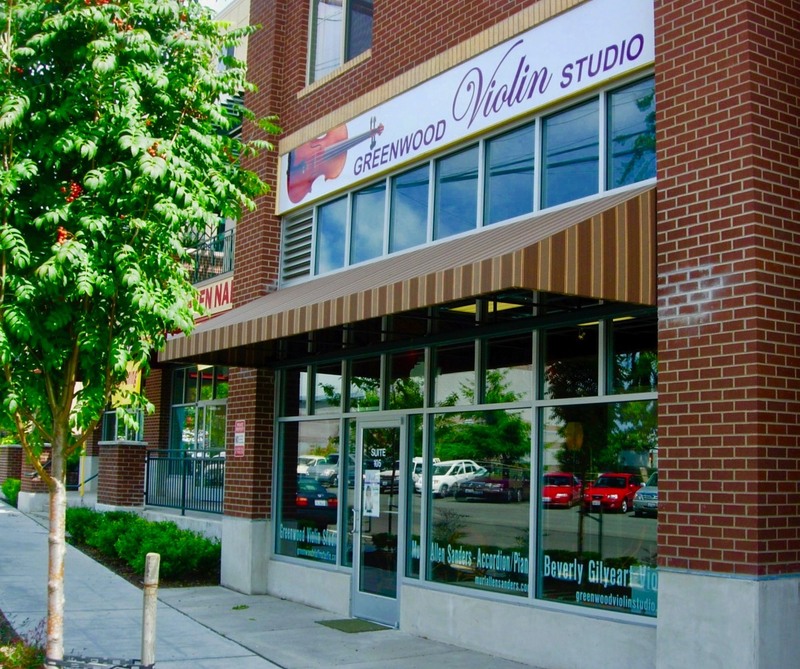 Street entrance to Greenwood Violin Studio, Suite 105. Exit 174, NE 130th St. - Turn Left heading West towards Aurora (99) crossing back over I-5 onto N 130th St. - Cross Aurora and go one block to Linden Ave. N - Turn Right onto Linden Ave. N and park. The studio is at street level in the brick building across from the park. Continue past Aurora (99) one block to Linden Ave. N - Turn Left on Linden Ave. N heading South to N 130th. Parking is just North of intersection of Linden & N 130th. The studio is at street level in the brick building across from the park. Chris, Hoey, 51 had always yearned to play an instrument. But his profession as a pharmacist along with his busy family life left no time. Then, his oldest child left home for college. He started lessons a little over one year ago and hasn’t looked back. Hoey debated between the violin and the piano, but chose the violin because he enjoyed its rich voice. “I thought if I were going to devote that much time and effort, I should choose something I liked to listen to,” he says. Older adults are dispelling the myth that music instruction is for the young. 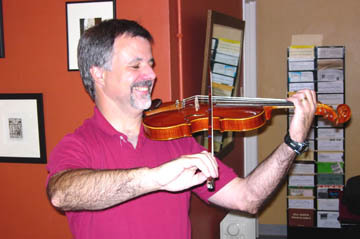 According to the National Institutes of Health, “Some evidence suggests that activities requiring mental effort such as …playing a musical instrument can help stave off mental decline.” Music making stimulates the same parts of the brain that working puzzles or learning a foreign language does. Keeping the brain nimble and active is key to a sharper memory.